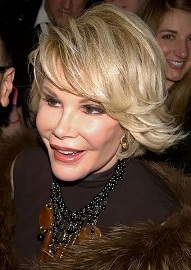 Joan Rivers: Did Medical Malpractice Take Her From Us? The public still does not know most of the circumstances surrounding the disastrous turn of events during Joan River’s recent elective outpatient medical procedure. We know that the state of New York is prudently investigating all components of the situation from the licensure and practices of the for-profit medical center that Joan’s personal physician recommended to her, to the timing and actions of emergency medical personnel from the very second that a clinic staff member placed the 911 call regarding a “highest priority” patient experiencing cardiac arrest. It’s not wrong to wonder if the world lost this great artist and comic as a result of errors in action or judgment that might legally fit the definition of causing “wrongful death”. It is not wrong to wonder if a loved one’s death could have been prevented while they were being cared for by doctors, nurses or other trained medical professionals. Mistakes are made all the time in clinics, hospitals and doctors’ offices that can have life-altering outcomes. It is the duty of investigators and yes, attorneys, to keep professionals on their toes so that all patients get care that does not put them in further danger. Clear-headed advocates must ask the right questions, collect the proper records and generate results. R.I.P. Joan Rivers. You were as funny as it gets in life and even though you are gone, we are still laughing through our sadness. Just the way you would have wanted it.